Today is the Photography Challenge Day. Here is my entry. 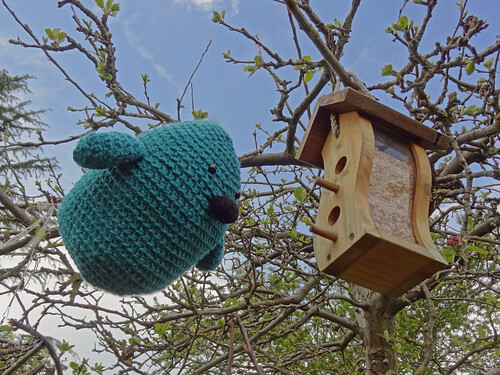 This is the bird I crocheted from Stacey Trock's Woodland Animals Amigurumi Class, that I first talked about here. I love my huge Teal Bird, I kind of wish he was staying in my house, rather than travelling down to Dorset for my niece's birthday next month. Ah well, I can enjoy him until then, especially as I've already ordered the yarn for a teddy bear from the same class. I have become a toy junkie!